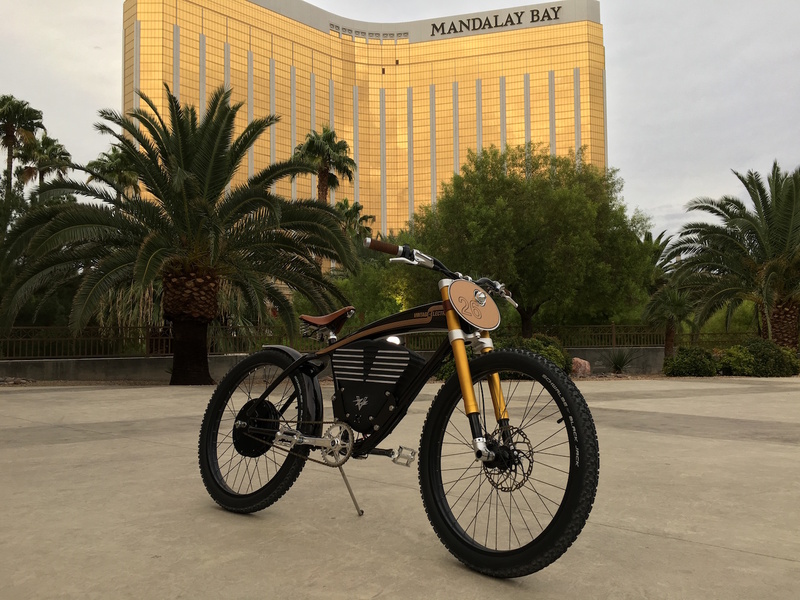 This year we did both Outdoor Demo and Interbike. We rode as many bikes as possible, the details of which will be revealed in upcoming stories. We rode a variety of steel all-purpose bikes, and fell in love with some of the models in this rising category. Also at Outdoor Demo, we discovered that CamelBak has a lifetime warranty on their products. They started this program in 2011, but since my reservoir has been limping along since 1999 or so, I wasn’t aware of it. It only leaks a little and at one of the connectors, so I didn’t consider replacing the whole reservoir. Until I saw the new ones! They’re awesome. Much better technology on the connectors than the ancient reservoirs, and easier to refill too. 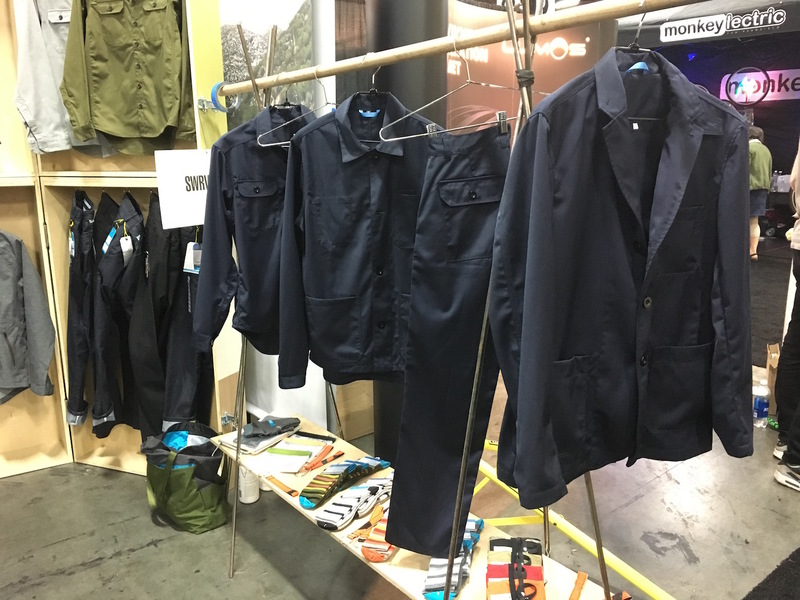 After Outdoor Demo, we spent two days walking the floor at Interbike, and discovered some really cool stuff. We made it past the shouting and brash sales tactics of the GoPro folks and wandered deep into the smaller booths. Where we discovered Wasp camera, an action camera made by mobile electronics veterans Cobra Electronics. It seems to do everything a GoPro does, at a fraction of the cost. And when you ride in a city where hit & runs are brutally common, having footage from front and back can make a huge difference in a court case. 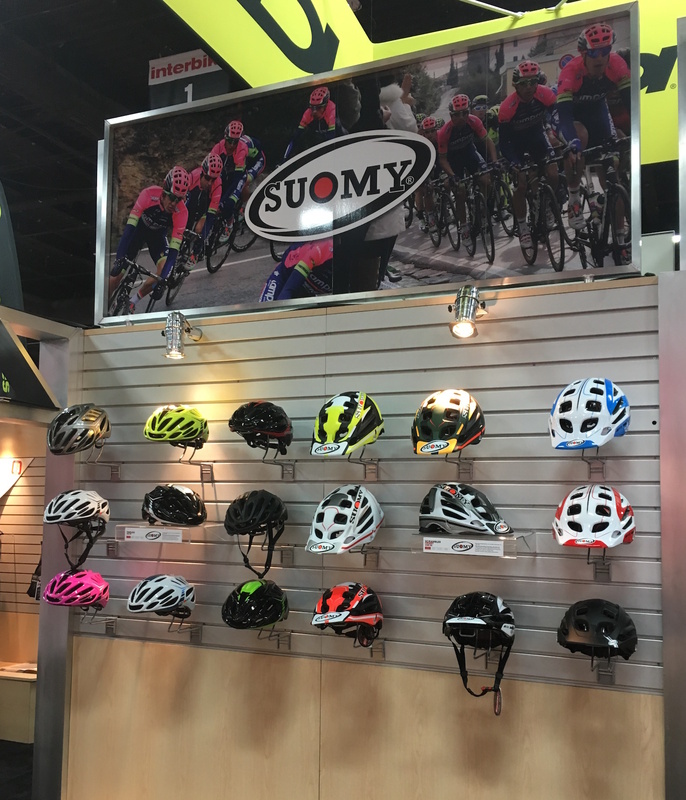 In the Italian section, we discovered that Suomy is now making bicycle helmets. Most cyclists might not be aware of this brand, but as a motorcyclist who’s crashed (and therefore tested) a lot of helmet brands, Suomy is still my absolute favorite. I first started using them in 2000. I chose Suomy mainly because it fit me best, but also because they sponsored a racer who crashed a LOT. I figured if Ruben Xaus wasn’t drooling into a cup in some long-term care facility, they must be doing something right. 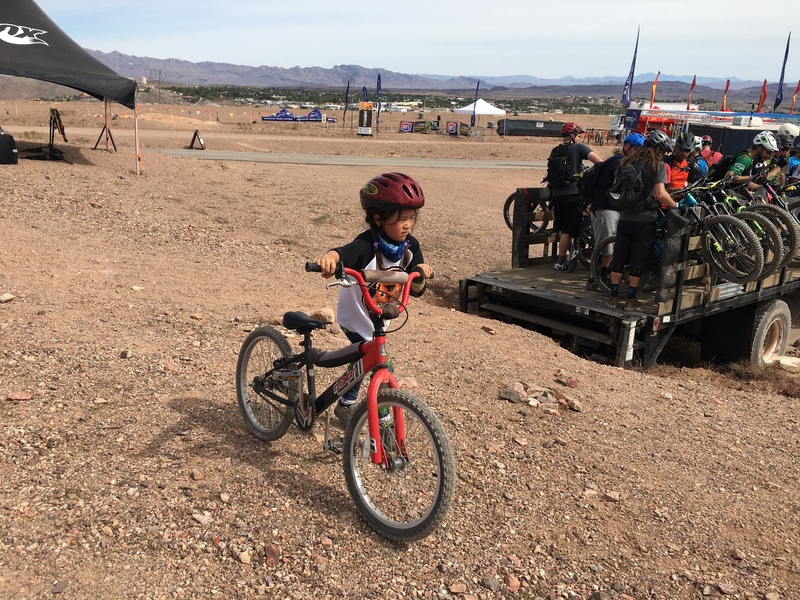 We tried on their full face downhill helmets and they were astoundingly light. They fit me as perfectly as their motorcycle helmets always have. Their full face helmets even feature nice touches from the moto world like D-ring chin straps and a soft padded liner. The search for comfortable clothes that wick away the sweat and look chic in the boardroom continues. Swrve is still our absolute favorite, as I seriously don’t want to wear anything else lately. Their men’s stretch cordura skinny jeans fit me perfectly so I’m really excited they’ll be available in black as well, with as much stretch as the traditional indigo. As a woman, I’m used to buying men’s pants and altering the waist. But these jeans only needed a slimmer ankle to be completely au courant. I bought two pair of these and seriously have to force myself to wear anything else. Swrve still offers their staples like my other favorite, the midweight slim trousers. This miracle fabric and its 4-way stretch can seriously take you mountain biking in the mud, then to a fancy dinner, after just brushing the dried dirt off. It was amazing how quickly we cleaned up after riding in these pants last Christmas. We’ll leave you with this tasty morsel for now. 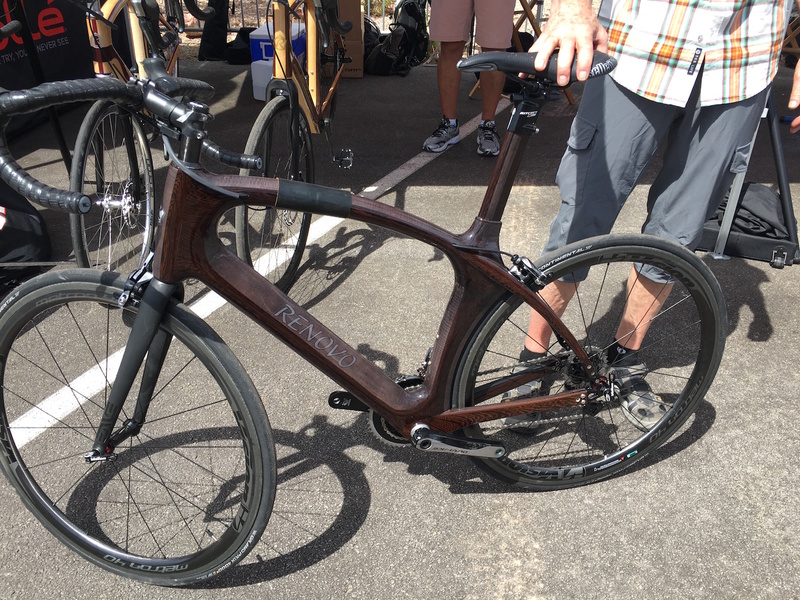 Renovo bikes are hand crafted entirely from wood and as stunning as any rococo furniture, but built to shred!